Thank you to our Raffle Sponsors!! 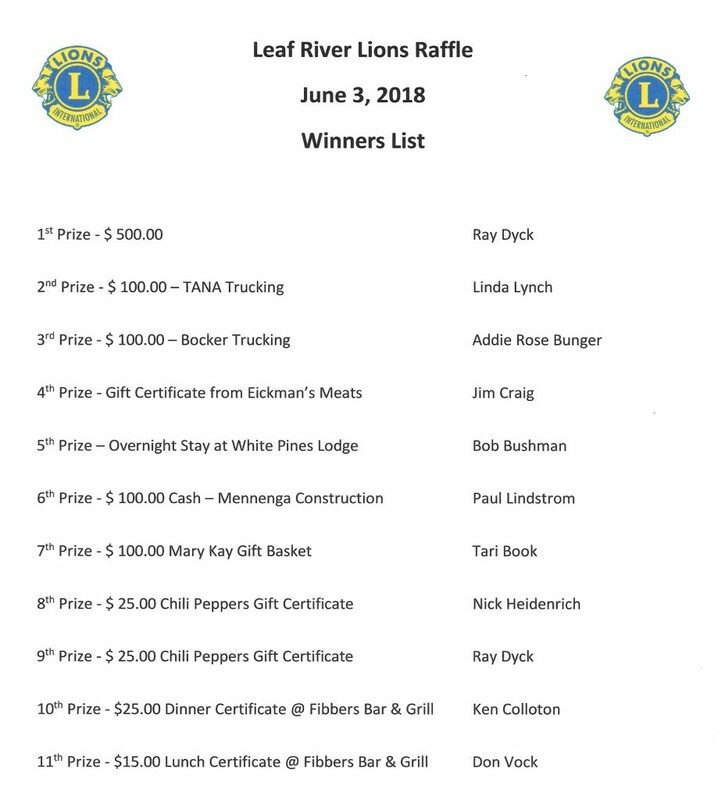 Raffle Tickets may be purchased Friday night at Lions Field where the fireworks are being held or all weekend long from the friendly knowledgeable Leaf River Lions. Just look for the folks dressed in the Purple shirts, Blue shirts, Yellow vests and/or hats!